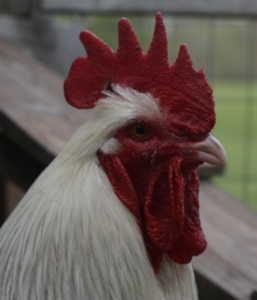 A little clarification before we start…”Sussex” is the breed of chicken. “Coronation” is the color. It is a dual-purpose breed that originated in the Sussex region of England around the time of the Roman Conquest. 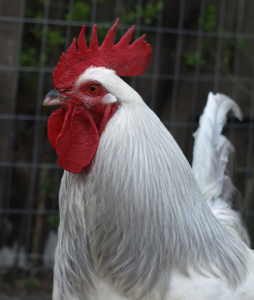 This makes them one of the oldest documented poultry breeds. Sussex come in 8 recognized color varieties. Light, Buff, Silver, Red, White, Speckled, Columbian and Coronation. Cackleberry Farm is working with only the Coronation color variant at this time. 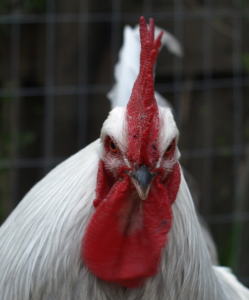 The Sussex sports a single, erect comb, and red earlobes. Legs and skin are white in all color varieties. 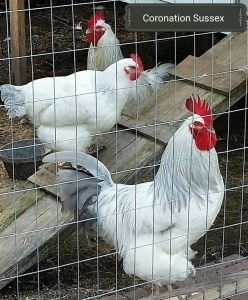 Coronation Sussex roosters weigh in at more than 9 lbs with hens weighing 8lbs. Our coronation lay a medium to large light brown egg. 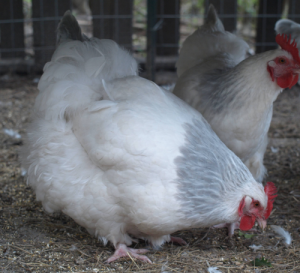 A hen can be expected to lay 260 eggs a year on average. Being a dual-purpose breed, you can expect a nice meaty carcass from your extra cockerels by the age of 6 months. The Coronation Sussex is a very impressive bird to see and if you are trying to decide on a bird for exhibition purposes, this is one worthy of your consideration. When available, eggs are 60.00 per dozen. Chicks are 10.00 each for local pickup/delivery only.